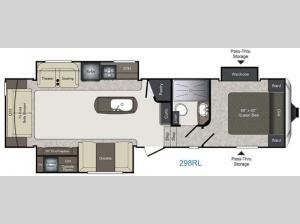 Enjoy life sized camping with a new Keystone Laredo! Laredo provides a variety of floor plans for you to choose from to suit your family's needs and lifestyle, and enhances them with "Life Sized" features, along with industry leading quality. The Laredo models have been designed for those travelers who do not want to be burdened with the weight and size of a larger RV. Those who want to be able to tow with ease, settle quickly into the scenic haven of their choice and proceed to live, relax, and entertain just like at home the way vacationing is meant to be. There is no settling for less, or smaller in size here... we want you to have "Life Sized" fun with "Life Sized" features, because you deserve a "Life Sized" camping experience! 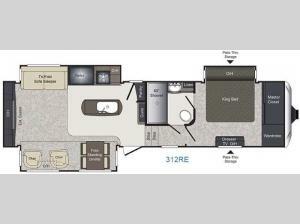 Come choose your favorite Keystone Laredo travel trailer or fifth wheel today! See us for a complete list of feature and available options! When Cole Davis founded Keystone RV in 1996 his vision was clear: Build a quality RV loaded with features priced thousands less than other RVs on the market. To accomplish his goal, Cole would recruit and build a strong team, focus on keeping overhead low, and empower the people closest to the customer to make decisions. Within a few short months after opening the doors, Keystone produced its very first camper. Delivering big on quality, features and value, the public fell in love with it. A star was born! As the appetite for the camper increased, new Keystone models were added to satisfy growing customer demand. Along with this tremendous growth came the need for expanded production. To meet this need more manufacturing plants were built and staffed. From new floor plan designs to patented inventions, Keystone leads the way in product innovation. One reason is our mission to stay close to the customer. 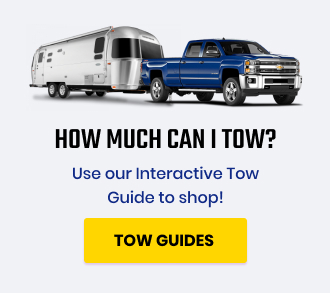 When talking with campers or visiting dealerships, our sales, product development, and service teams, are always looking for ways to improve the camping experience. And we don't stop there. Every member of the Keystone family is encouraged to contribute to making our campers absolutely the best possible. Through something we call Kamp Keystone, our employees camp free of charge at local campgrounds in the Keystone trailers we supply. Each year hundreds of our production workers, administrative staff and service team enjoy a day (or a week) at Kamp Keystone. Their evaluation of the experience and the feedback they provide results in continued product improvements. Ask us if we use our RVs...the answer is YES!